This is a book review for The Rithmatist by Brandon Sanderson. It is a wonderful story filled with great characters and an imaginative plot! If you read fantasy novels then you have definitely heard of Brandon Sanderson. Well he wrote The Rithmatist for a younger audience. Teen/Young Adult audience to be exact. If you are not usually a fan of Young Adult novels, then you may want to start being a fan. This book made me so excited and happy!!! Seriously, it hooked me right from the start, and it kept me interested and wanting more. Which is where it made me sad because from the information I could find, the second book is only scheduled for 2017. 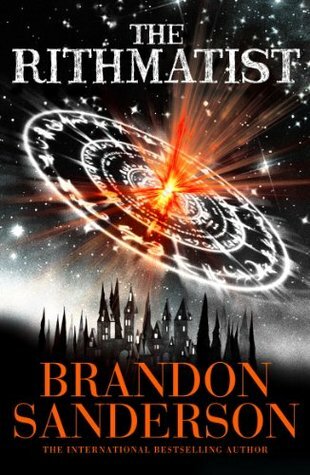 Brandon Sanderson, if you ever see this… please hurry!! I will give you … (checks pockets…) 20 euros if you release it sooner!! It is indeed that wonderful. This story is about Joel, who wants to become a Rithmatist. Rithmatists are a very selective group of people who have the ability to bring two dimensional figures that are known as Chalklings to life. This is important because there are wild chalklings that the Rithmatists need to be able to defend their world from. Joel is just a son of a chalk maker at Armedius Academy who would give anything to become a Rithmatist himself. He gets thrown into a mystery when a few Rithmatist students go missing. Him and his friend Melody along with another group of wonderful side characters bring this mystery to life. This story might be written for a younger crowd but Brandon Sanderson got it right. The story has mystery, and amazing detail. There are drawings explaining exactly what it is that Rithmatists do. It brings this world to life, and it had been a while since a book has brought me so much joy, and yet some sadness. Booknerds know what I am talking about. I highly recommend this book!!! The characters are wonderful and the plot is imaginative. This one gets 5 out of 5 Metalhorns from me!!! I’ve heard of this book. I really should check it out. It was a quick read for me! I actually have to go back to his Mistborn trilogy, I had started it and never finished it. Need to read it from the beginning again. 🙂 Have you read his other work? Yes, I read the first Mistborn book and the one set in the 1800s. He’s great with his magic systems.